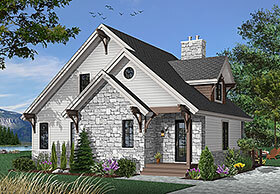 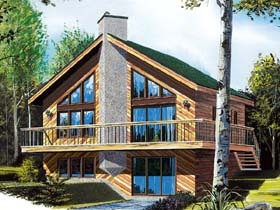 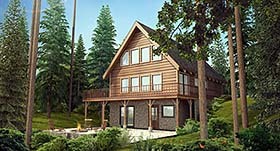 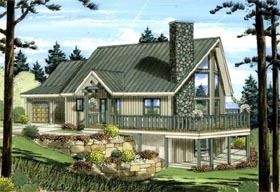 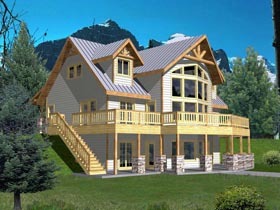 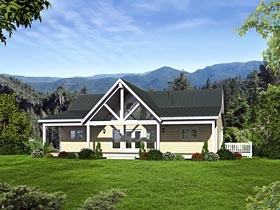 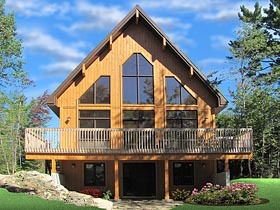 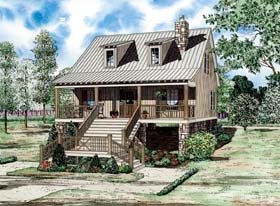 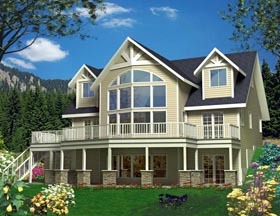 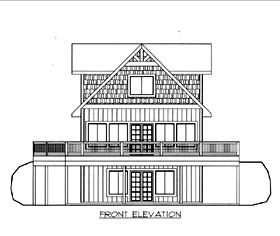 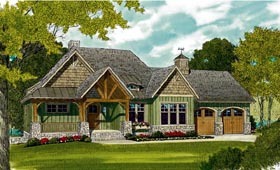 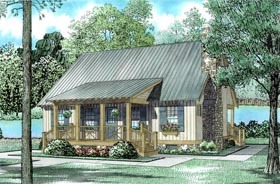 Hillside home plans provide buildable solutions for homes that are slated for construction on rugged terrain, sloping lots, or hillside building sites. 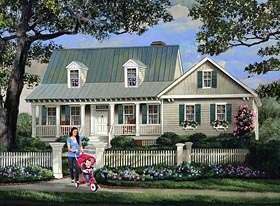 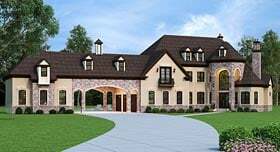 Hillside house plans are frequently referred to as either sloping lot plans or split-level plans and are specifically designed for property that possesses either a sharp or steady incline. 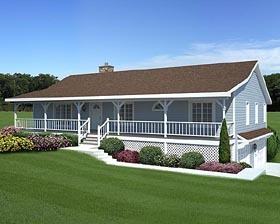 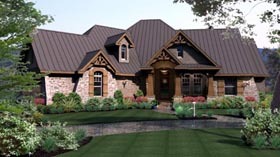 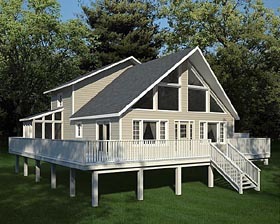 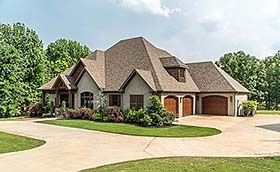 Hillside or mountainside house plans usually have partially exposed basement or crawlspace foundations, often allowing for lighter, brighter lower levels and walkout basements.